›LR Home TRANQ81366FGB3656 Tranquility Sly Diamonds Indoor Area Rug, Fungi & Light Blue - 3 6 x 5 ft. 6 in. LR Home TRANQ81366FGB3656 Tranquility Sly Diamonds Indoor Area Rug, Fungi & Light Blue - 3 6 x 5 ft. 6 in. Inspired by the gentle tones of nature reminiscent of a breezy beach on a cloudy day, this Tranquility area rug by LR Resources will bring peace and serenity to any space. 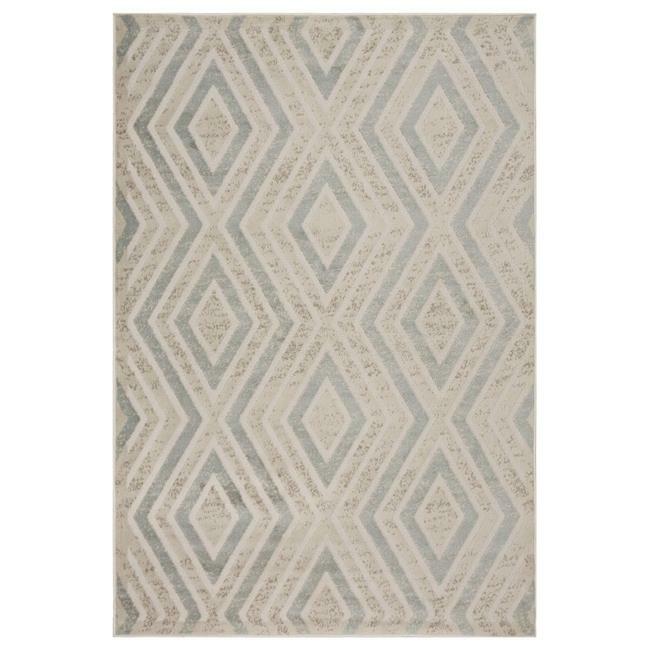 This transitional piece features a geometric pattern of teal diamonds and zig-zags on a beige and cream background. The muted colors are complimented by the muti-textural nature of the rug, making the unadorned shapes stand out. Machine Made of 100% olefin on a jute and latex backing, it is fantastically soft and naturally durable.